The LG V20 boasts a huge removable 3200mAh battery. But, with a large 5.7-inch display to light up, the battery life of the LG V20 is just average. 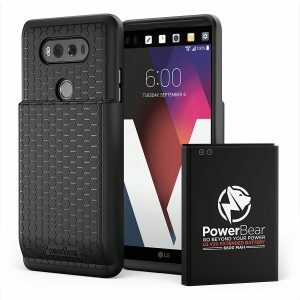 If you are a heavy smartphone user or a frequent traveler, an extended battery case for the LG V20 is an absolute necessity and helps extend the battery life of your smartphone. An extended battery case is very convenient and charges the LG V20 on the go. Listed below are the top 5 best LG V20 extended battery cases. 1. ZeroLemon LG V20 10000mAh TriCell Extended Battery Case: The ZeroLemon LG V20 10000mAh TriCell Extended Battery Case features a massive 10000mAh capacity battery. If you don’t mind the bulk, the extended battery case offers three times the battery life of the original battery on the LG V20. 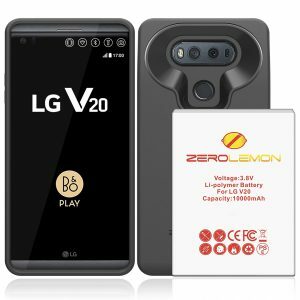 The ZeroLemon LG V20 10000mAh TriCell Extended Battery Case also provides all-around protection to your smartphone. 2. Hyperion LG V20 Extended Battery Case: The battery of the Hyperion LG V20 Extended Battery Case has double the capacity of the stock battery that comes with the LG V20, hence, lasts twice as long. 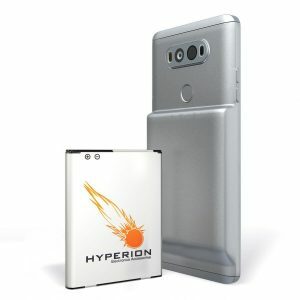 If you think the back cover of the Hyperion LG V20 Extended Battery Case is too plain, Hyperion sells a back cover with beautiful honeycomb design available in multiple colors. 3. 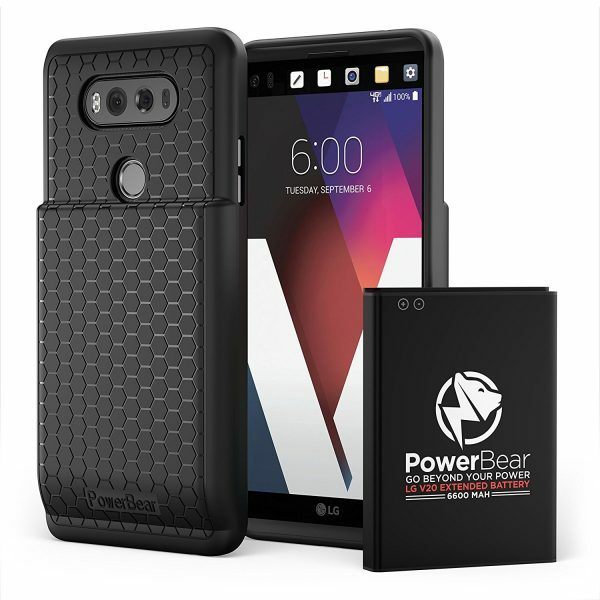 PowerBear LG V20 Extended Battery Case: The PowerBear LG V20 Extended Battery Case includes a 6600mAh battery, back cover and a protective case. You can choose to just use the back cover or the case as well for advanced protection. 4. TQTHL LG V20 Extended Battery Case: The TQTHL LG V20 Extended Battery Case has the same battery capacity as the PowerBear LG V20 Extended Battery Case. The battery lasts nearly 2.2 times the original battery that comes with the LG V20 and lasts over 800 charge cycles. 5. 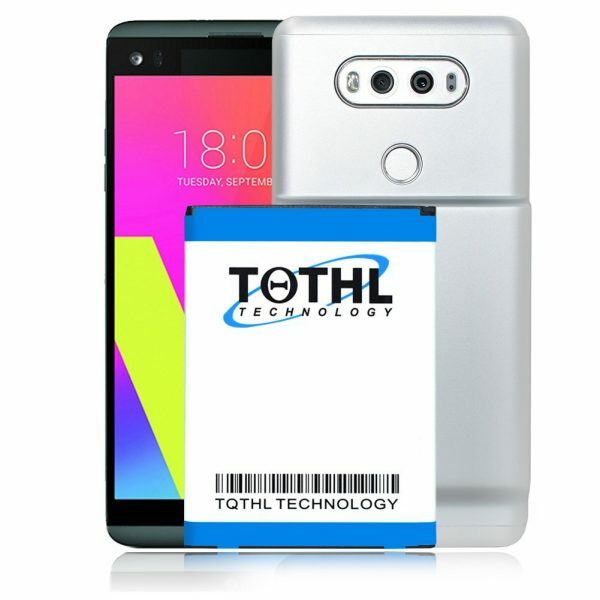 LG Battery Charging Kit for LG V20: If you do not like the bulk of an extended battery case, the LG Battery Charging Kit for LG V20 is a good alternative. 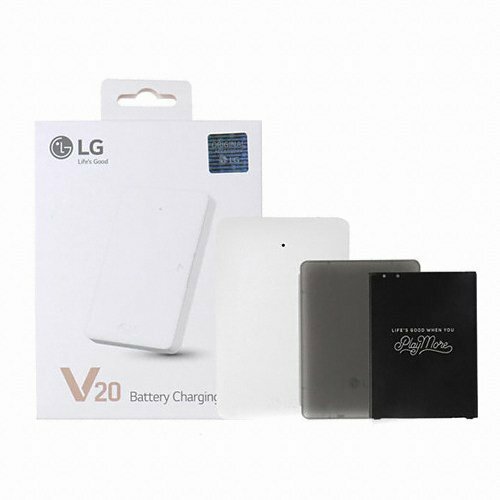 The LG Battery Charging Kit for LG V20 includes an original LG 3200mAh battery, battery charging cradle and a battery case. When low on charge, all you need to do is pop out the battery from the LG V20 and pop in the spare battery. These are the top 5 best LG V20 extended battery cases.